Fireworks over the Fisht Olympic Stadium in Sochi, Russia, during the 2014 Winter Olympics. After last week's closing ceremony of the Sochi Winter Olympics, many of the athletic performances will be remembered for a long time; not so the architecture. The Winter Olympics seldom produce the outstanding architecture that has characterized many Summer Olympics, especially since the games were held in Rome in 1960. But at a reputed cost of $51 billion, many times that of the London Olympics of 2012, one might hope for buildings as distinguished as the Bird’s Nest Stadium (Beijing, 2008), or the facilities that made the Rome, Tokyo (1964), Mexico City (1968), Munich (1972), and, although to a lesser degree, Barcelona (1992), so memorable. At their best the Olympics have provided architects in the host countries with the opportunity to demonstrate their ability to create undivided clear spans. These doubled as dynamic spaces in which to bring together an international community of athletes, spectators, and journalists. Although he did not design the main stadium, which was already in place, Pier Luigi Nervi’s elegant domes for the Palazzo and Palazzetto dello Sport in Rome were among the most admired engineering feats of their day. Four years later the suspended roofs of Kenzo Tange’s Yoyogi National Gymnasium demonstrated that technology did not preclude an appreciation of the local vernacular in a structure whose dramatic profiles simultaneously invoked the profiles of traditional Japanese farmhouse and modern suspension bridges. The tensile structures designed by Günter Behnisch and Frei Otto for Munich offered a vision of joyful transparency unfortunately not borne out by actual events. More recently, Zaha Hadid’s Aquatic Centre was one of several standouts in London. Today, however, large corporate practices dominate the design of Olympic architecture. Nowhere is this more apparent than in Sochi. The narrative of Russian nationalism so often told about these games unravels when it comes to architecture. The Fisht Olympic Stadium was designed by the same American firm, Populous (formerly HOK Sport), that was responsible for its London predecessor (albeit in that case in association with Peter Cook, once one of England’s most radical architects). The Fisht Stadium is not, however, an example of so-called “starchitecture,” a term that describes the work of a handful of international figures who jet around the globe designing possible tourist attractions that double as local cultural or corporate infrastructure. The success of corporate practices like Populous is instead a case of highly technical specialization pushing aside the possibility of an architecture that emerges out of challenging local experts to perform to global standards. Italian, Japanese, Mexican, and German architects, as well as Ai Weiwei, who shared credit for the Bird’s Nest with Switzerland’s Herzog and de Meuron, achieved widespread recognition through the creation of Olympic buildings that, while triggered by local architectural concerns, proved nearly universal in their appeal. By resorting to a narrow functionalism, the organizers of the Sochi Olympics created a competent effort that says nothing about the host country and contributes little to the development of its architectural culture. Throughout history, the best buildings have fulfilled their function in ways that enrich daily lives. From at least the time of the Roman Colosseum to the present day, they have done it regardless of whether their purpose was principally pragmatic or also expressly cultural. 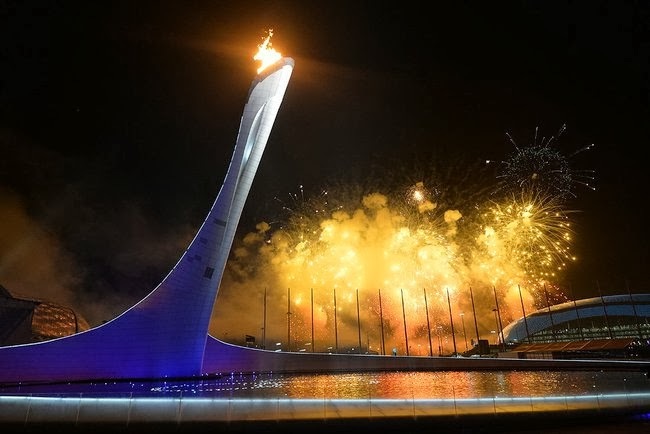 Many of the organizers of earlier Olympics have recognized this and commissioned buildings that continue to be admired, and in the best cases also used, long after the games have ended. Tange’s celebrated National Gymnasium will be reused for the 2020 Olympics. Behnisch and Otto’s stadium, still in use today, was the site of the 1974 World Cup soccer final in which West Germany defeated the Netherlands to win its second world championship. Sadly, the missed opportunity in Sochi is not unique. Too often buildings for major events and institutions are physically as well as intellectually isolated from even the best locally designed contemporary architecture of the places in which they sit so awkwardly. At the worst they are seen as images on the Internet rather than spaces to be inhabited, delighting us by being crafted with an attention to detail, and orienting us by catching light and shadow in ways that mark the time of day and the change of seasons. The buildings for the Sochi Olympics are some of the most expensive ever realized; they should also have been some of the best. Kathleen James-Chakraborty is author of the newly released Architecture since 1400 and editor of Bauhaus Culture (Minnesota, 2006). 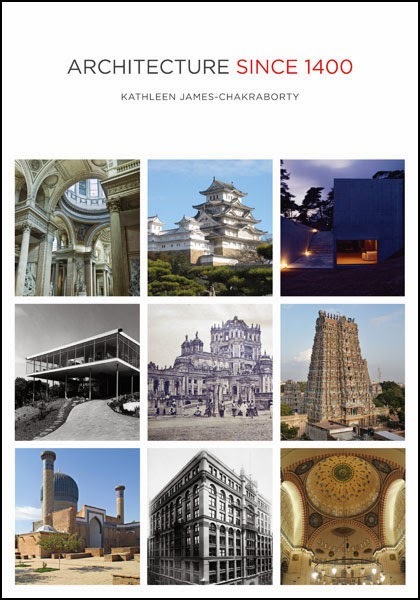 "Kathleen James-Chakraborty’s Architecture since 1400 deserves the widest possible readership. This is a brilliantly conceived and beautifully written book that presents an original analysis of notable buildings around the world." "Architecture since 1400 is a mature, impressive work—truly a global history of architecture. It is hard to imagine a more teachable book."